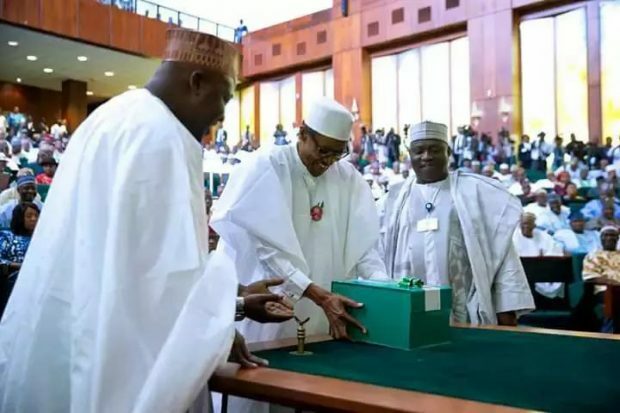 On Wednesday, 14th December 2016, the president of Nigeria, Muhammadu Buhari presented the 2017 budget proposal to the joint session of the National Assembly. This comes after so much delay and the budget, which is said to be the budget of recovery and growth, is 20.4 percent higher than the 2016 budget. 1 The total budget is N7.44 trillion. 2 The aim of the budget is to pull the country out of recession by spending 30.7 percent on capital expenditure. 3 The sources for funding of the 2017 budget will come from Oil revenue from which they expect N1.985 trillion, non-oil revenue from which they expect N1.73 trillion and federal government’s independent and other revenues. 4 Apart from domestically generating funds to finance the expenditure for the next fiscal year, the budget indicated that the Federal Government is to borrow the sum of N2.32 trillion and pay N1.6 trillion debt. 5 The key areas that top the budgetary allocations are, Power, transportation, defence, health, education, interior, Niger Delta ministry, FCT and Water resources. 6 The oil price benchmark for 2017 is fixed at $42.5 per barrel. 7 The 2017 budget was approved by the Senate on May 11th 2017.